I am now more than halfway through my #The100DayProject, where I am taking the time to paint something every day - and part of what I really wanted to do was get better at drawing stylized people. #MerMay was the perfect opportunity! 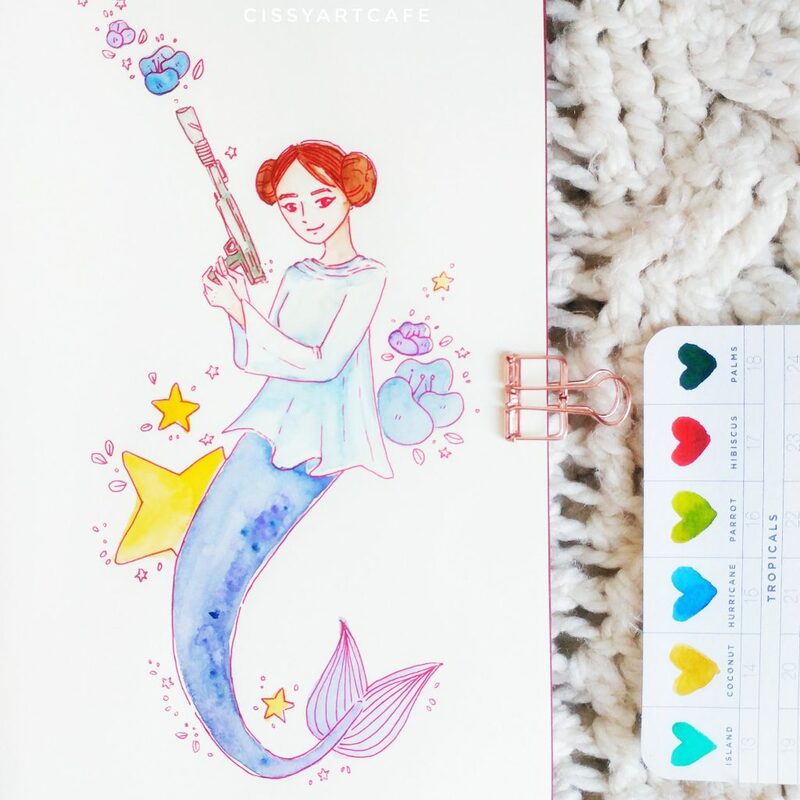 While the challenge has existed on Instagram for a while, I wanted to take my own spin on it by creating a Fan Art version - I selected a few pop culture things that I really enjoy, picked some characters, and created a list that I could then follow. This way, I would also be forced to practice various skin tones and facial features, and hopefully avoid the dreaded same-face syndrome that tends to happen with many illustrators! I've selected a few of my favorites for you to enjoy. A sleepy Neville curled up with a beloved plant. Leia with a smirk on her face and ready for a fight. 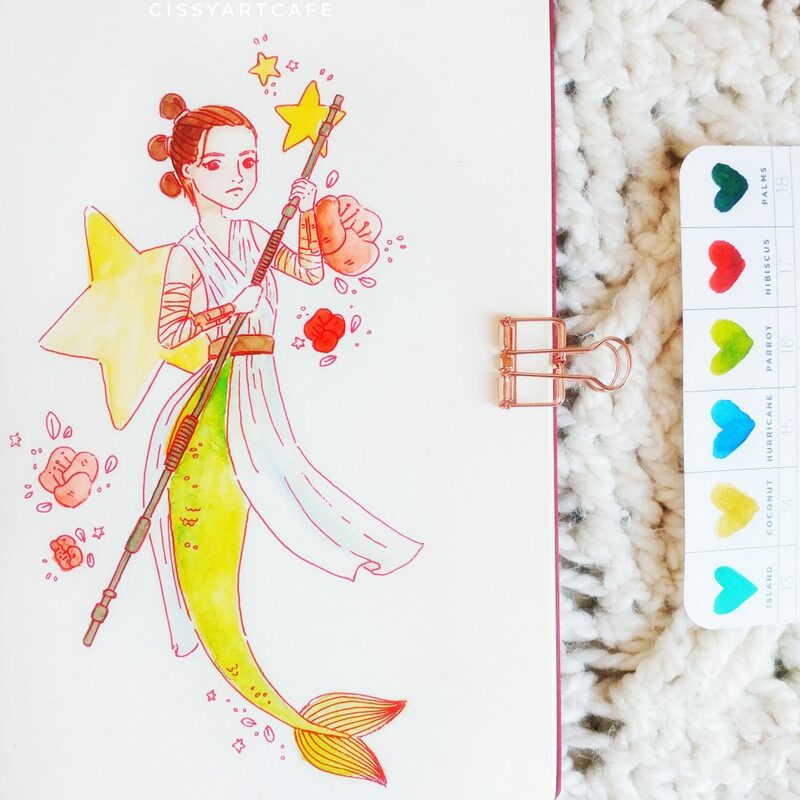 Rey on guard with her staff. Finn, testing out a lightsaber. 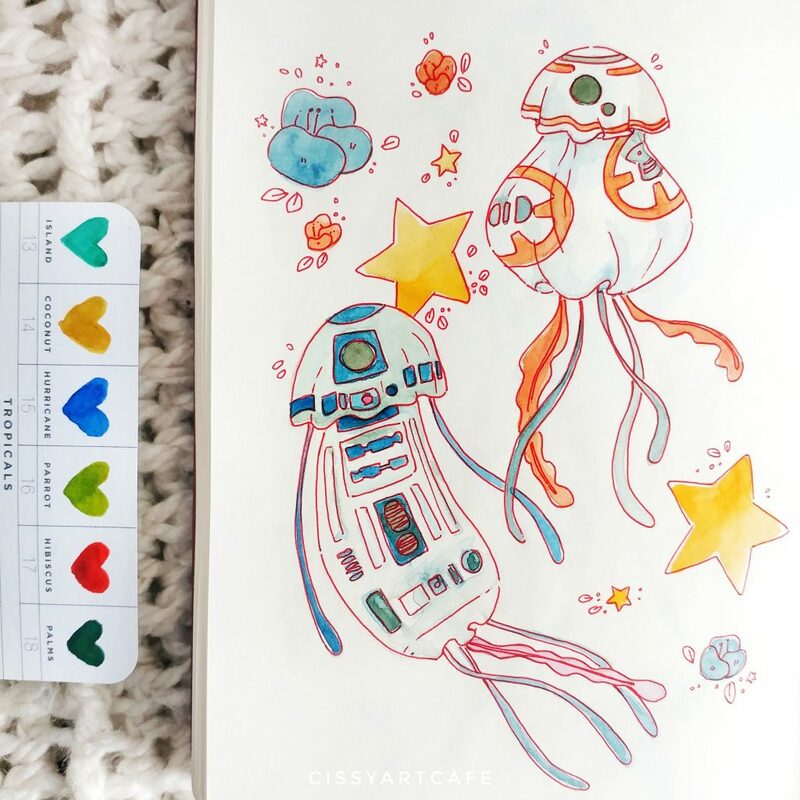 Some jellyfish droids, because I thought they'd be hilarious. Jon Snow knows nothing. Also, a direwolf fish. I learned that I can draw people when I put my mind to it! Although my rendition of the characters do have rather similar features (unintentionally), I do think that they feel like the original characters they are inspired by. For example, when I was drawing Neville I really wanted to depict how he might be when he had forgotten the common room password again. In my mind, he had fallen asleep peacefully, curled up by the Fat Lady's portrait, cuddling one of his beloved plants. I feel like my rendition of Mer-Neville exudes those feelings quite well! I also learned that I apparently can draw boys. 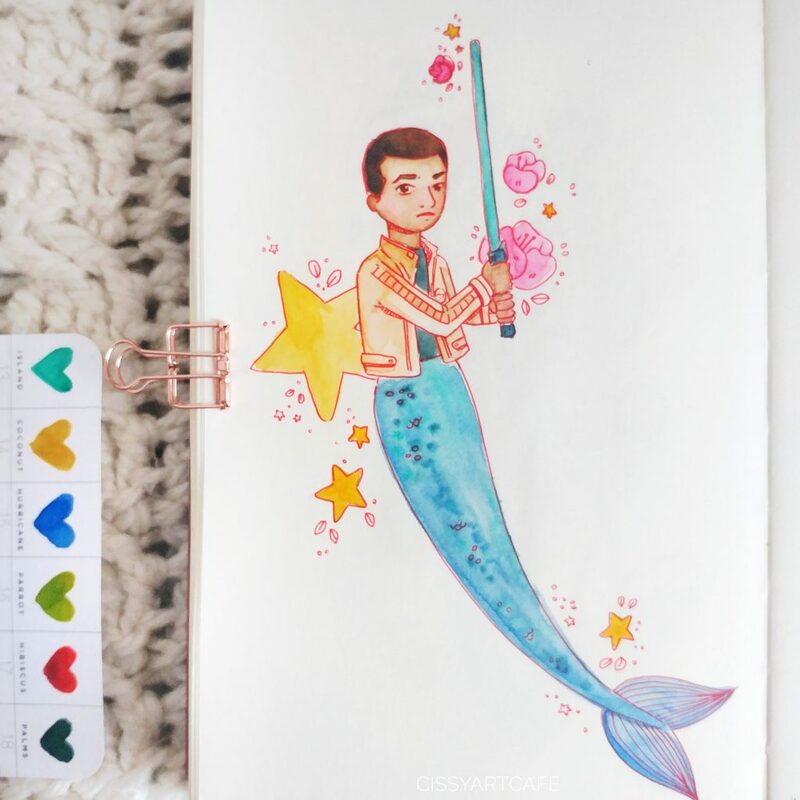 I never thought I could, but while they may look dainty, my mer-boys do look like boys. I learned that rendering different skin tone with a limited watercolor palette is hard. 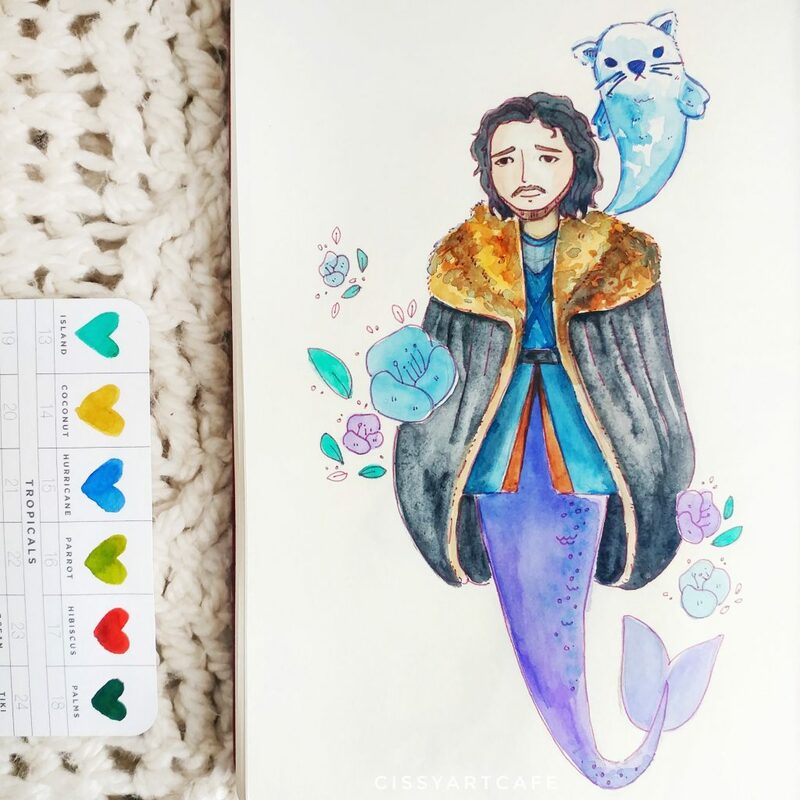 I painted a Mer-Draco (find it in my Instagram!) and painting his pale, pointy face was really difficult! On the other hand, painting darker skin tones were also challenging because I had never practiced that. I'm pretty proud of how my Finn turned out! I learned that I can almost draw hands. TBD on if I can draw feet, though, since I managed to get out of that by supplementing lots of mermaid tails. Finally, I learned that an unfinished challenge does not mean a failed challenge. 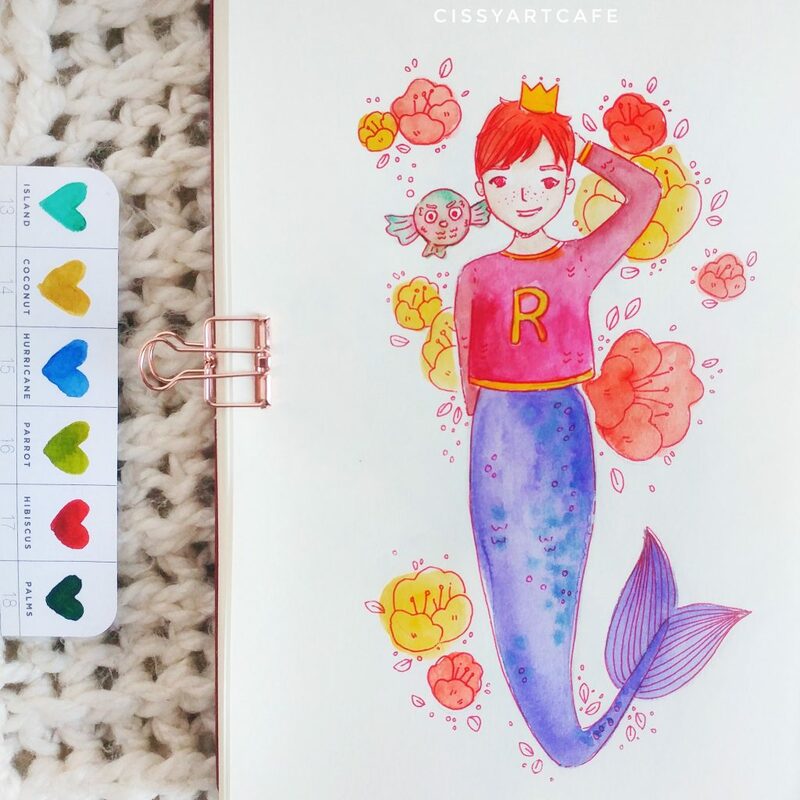 I came out of MerMay with 3 weeks of paintings completed - 3 weeks straight of drawing mermaids and mermaids and more mermaids - and while I was getting a lot of mermaid-fatigue, I did have a few paintings that I'm really proud of! While I could have continued, I chose to end the challenge because I wanted to paint something other than mermaids. I missed drawing cute animals! 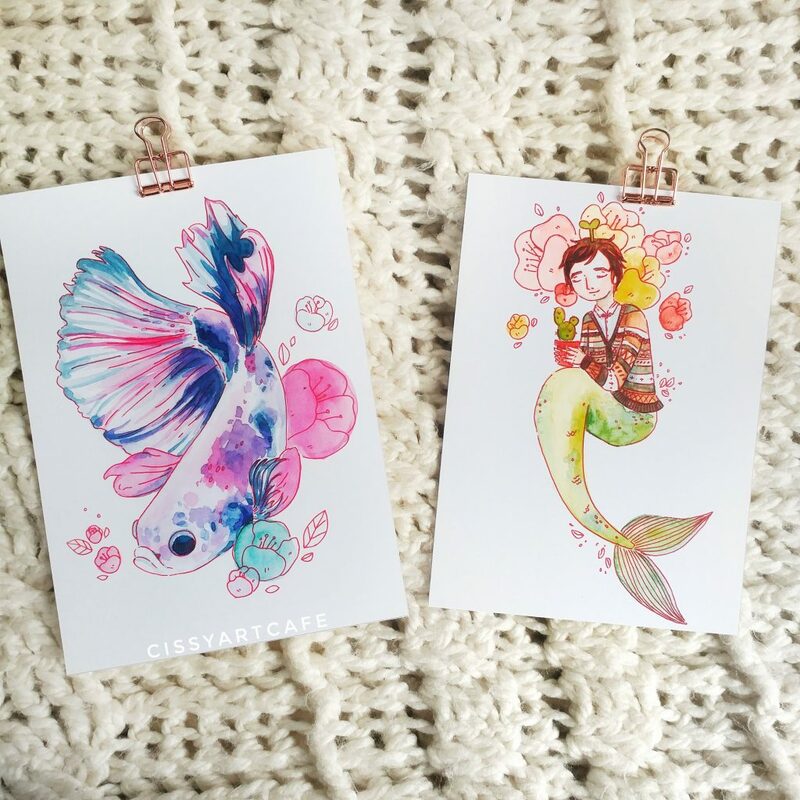 Because I came out with some that I really like, I am offering some of my Merpeople as 5 x 7 prints on my Etsy shop as well as one little merperson as a printable freebie! Don't forget to subscribe to my mailing list so you can access my free content. 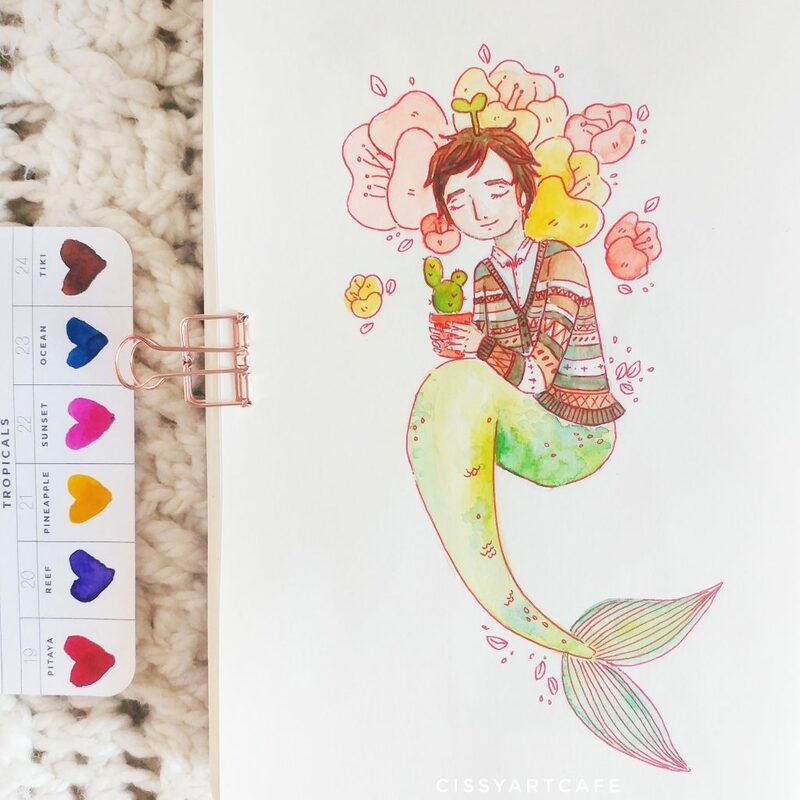 Which of my MerMay paintings is your favorite? I think mine is probably Neville - he just looks so happy and peaceful!